We’ve always known how much fun it is to play in the mud. And we’re so excited to do it again that we unveiled two redesigned carbon and five high-performance alloy CX machines at dry and dusty Sea Otter, and prayed for rain. The bikes will be available late summer. The 2013/2014 CX season was wildly successful for Raleigh. 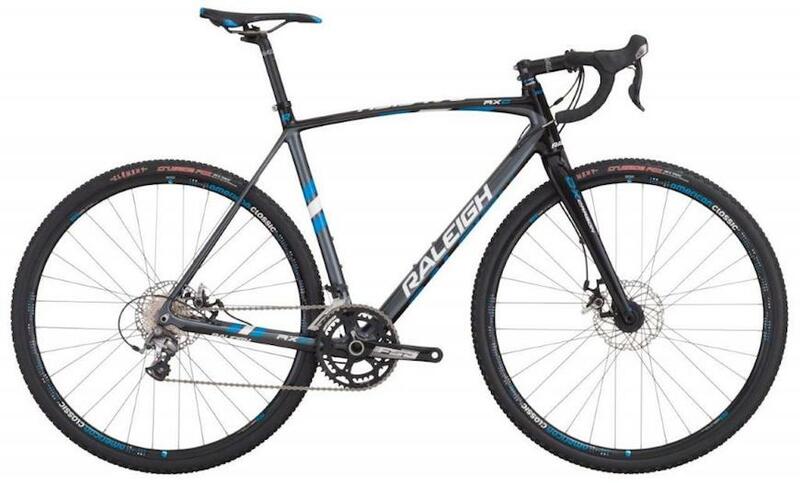 Allen Krughoff and Jamie Driscoll of Team Raleigh-Clement rode their CX bikes to Top 5 at Nationals. And the World Championships saw Krughoff and Caroline Mani take the line against the best in the world. The bikes garnered praise from just about every media outlet, including a Cross Bike of the Year award from the crew at ROAD along with an Editor’s Choice from Cyclocross Magazine. By receiving feedback from racers and mechanics, fielding constructive criticism from the press, and working tirelessly with our team behind the scenes, we’ve made a great thing even better. Check out some preliminary info on the 2015 collection below, though we think the line will speak for itself when the mud settles this fall. Raleigh’s most decorated rider, Ben Berden, has been providing valuable feedback about our bikes. We’ve modified the geometry to be more aggressive in order to match his racing style and current race courses. The redesigned head tube, down tube, seat tube and chain stays retain their exceptional power transfer and overall stiffness all while increasing heel and mud clearance. While we retained the strength and stiffness of the core of our frame, the redesigned top tube, seat tube and seat stay increase vertical compliance by almost 50% (less fatigue to the rider after an hour of punishment). On the alloy side, the line features the same lightweight frames that were introduced last season, with a 1.5” tapered head tube and a tapered butted seattube for exceptional torsional stiffness. The unique “Flat Oval” double butted and formed downtube and seatstays offer unmatched vertical compliance. With wider and lighter rims, carbon fork, a two-bolt no slip seatpost, and CX Specific Bar Tape, every detail has been taken into consideration in the Raleigh line. Also new for 2015 will be the addition of our single speed, disc brake, Gates belt drive bike. Seatpost: Two bolt. No slip. This is our CX philosophy. 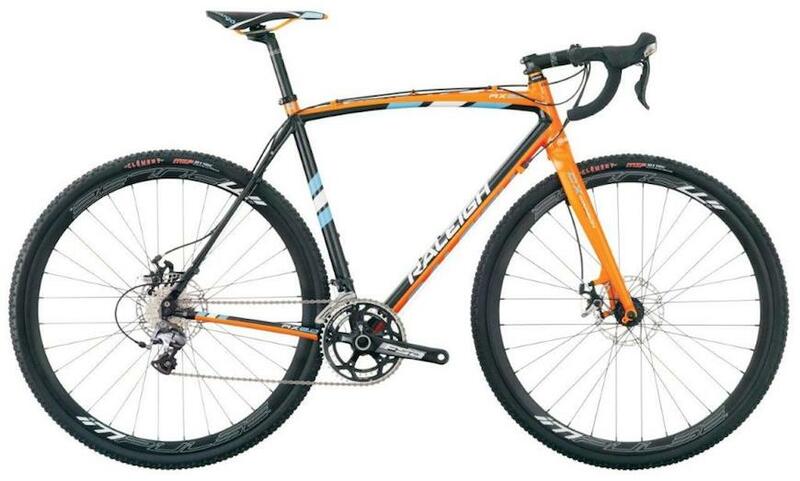 All our bikes feature our own lightweight 27.2 dual-bolt seatpost. New for 2015 is our Raleigh dual-bolt seatpost with internal Di2 battery mount featured on the RXC Pro Disc giving the bike a clean look, and uninhibited shouldering for long climbs. Wheels: We will continue to utilize rims that are 23mm wide for the benefits of creating a wider contact patch and riding at lower pressure. We’ve reduced rotating mass by using rims that are 100 grams lighter than the previous rims found on the RX cantilever series of bikes. American Classic will continue to be the wheel of choice for the RXC disc series as they contain all these similar attributes. We made all of our wheels better this year by adding Clement tires. Saddle: Ridden on by World Champions and grand tour winners, Prologo is a trusted name in the cycling race world. 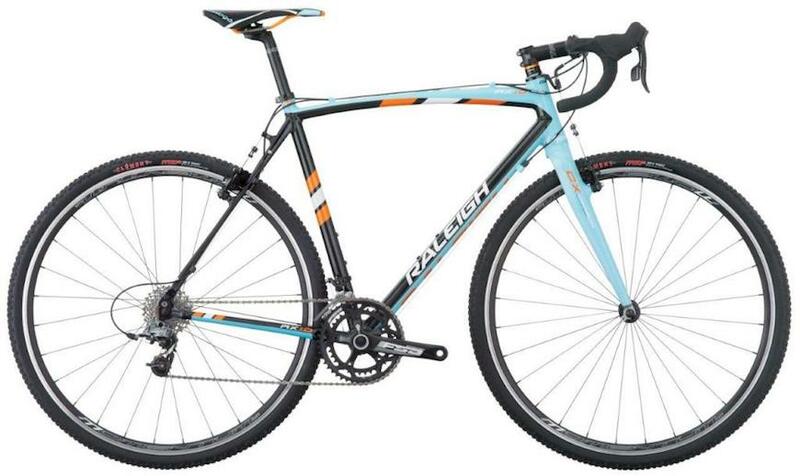 Lightweight and comfortable Prologo saddles are featured across all the 2015 Raleigh Cyclocross bikes. Want more? Here's what the media had to say. 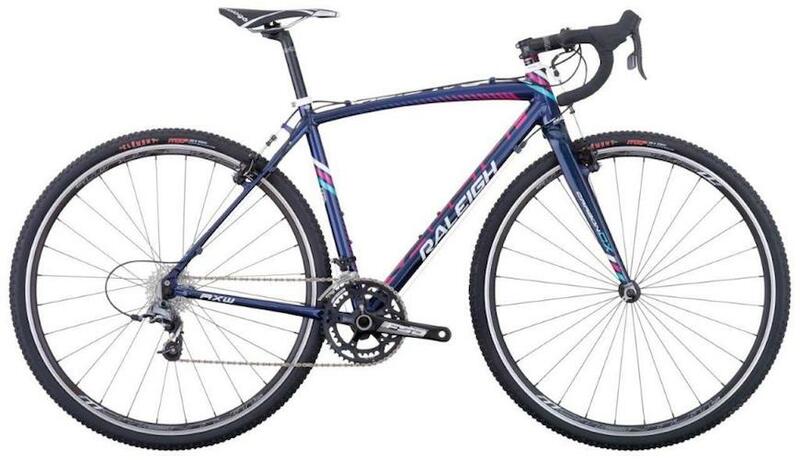 "The Raleigh 2014 RX 2.0 won our Editors' Choice Award for best affordable bike, and the changes for this year might make this an even better version!"